CrossingsCon 2019: I’ll be there! 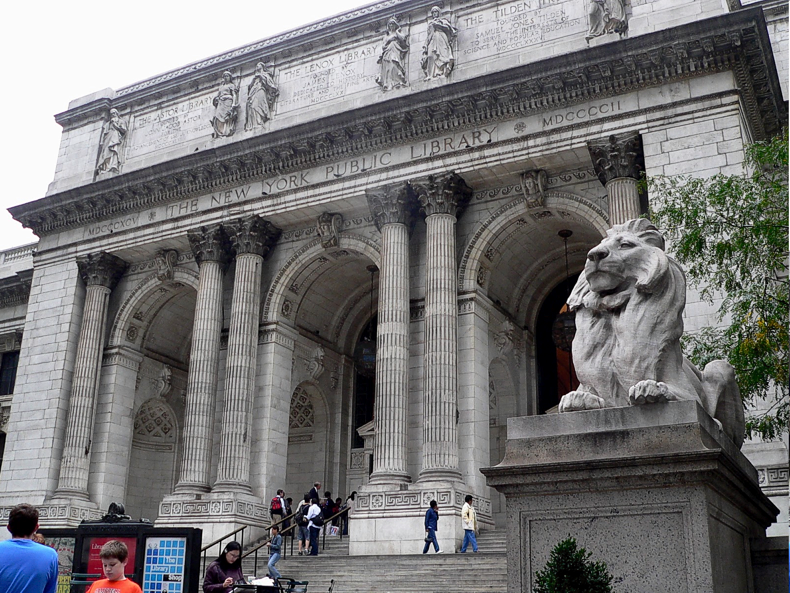 When is a “library” not a library? o.o tuebl has all of Young Wizards in the library. It would be if (a) I’d given them permission to have the books, (b) I was getting paid anything for their presence there. However, (a) I never have, and (b) I’m not. Also: in some markets, like the UK and Ireland, the author earns additional royalties from the book being lent out by libraries — the more libraries buy and lend your book, the more money you get. This is never a huge sum, but it can be helpful even for the midlist writer. Peter and I just got a payment of this kind from one of our UK agents. It’s hardly a lottery win, but it means that we can replace our suddenly-dying clothes dryer this month instead of sometime in the spring. If I’d decided to try this experiment for myself, the results, for good or ill, would be my problem to deal with. However, when people take it upon themselves to give away my work for free without my permission — while implying as hard as they can that it is happening with my permission — that gets up my nose enough for me to make an issue of it in public. In particular, I note that somebody or other (having perhaps mistaken me for a vast multinational publishing conglomerate) bought one of my books from my own store and uploaded it at Tuebl for people to download for free. I sincerely hope people can understand how the above might make me cranky. Regarding authors getting paid when a library houses their book(s), what happens when someone donates the book to them? do they still have to pay you? Whether books are purchased by the libraries themselves or donated to them, they report their lending figures to the government body that acts as a clearing-house for the data, and this body sees to it that the legally-determined amount of money comes to the authors directly or through their chosen representatives. *Indications are, from my early royalty statements, that something like 40% of the print run for the original (and now very hard to find) hardcover edition of So You Want To Be A Wizard went to US libraries. This enthusiastic uptake would have been instrumental in Dell agreeing to buy Deep Wizardry. **Yes, I know about Neil Gaiman. Sadly (or perhaps fortunately, from Amanda Palmer’s point of view) we cannot all be Neil Gaiman. 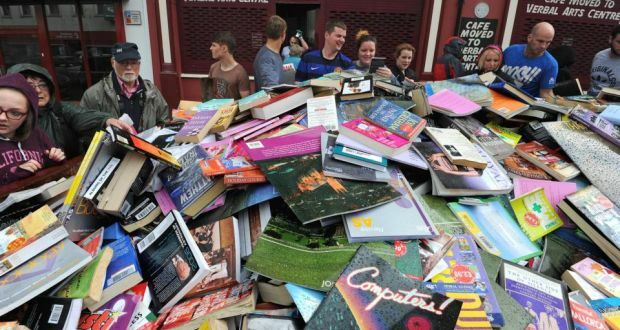 Almost 100,000 new books were dumped into a skip outside a Derry bookshop today after the receiver ordered that the contents of the shop, which closed two years ago, should be disposed of. …The books, valued at £60,000 (€74,253), were all new. …As word quickly spread crowds descended on Bishop Street to avail of the book bonanza. Many motorists double parked causing temporary traffic jams as they helped themselves to dozens of the books. Looking on as the skip was filled and re-filled with the books was Peter MacKenzie, the former joint owner of the Bookworm bookshop. “I opened the book shop in 1978 and it was my life’s work until I was declared bankrupt in 2012. “The books were my assets which were seized. The building was also seized and now it has been for sale for the last two years with an asking price of £375,000. “Four years ago the same building was valued at just over £2 million. “It’s heartbreaking to see what was once my life’s work being dumped into a skip but at least the books are being grabbed by members of the public and fair play to them”, he said. 40 years in print, 50+ novels, assorted TV/movies, NYT Bestseller List a few times, blah blah blah. Also: #YoungWizards 1983-2017 and beyond. And now, also: Proud Guest of Honour at the upcoming Dublin2019, the World Science Fiction Convention in Dublin, Ireland! Feel like buying the writer a coffee? That's kind of you! Just click here. (c) 2016 Diane Duane | all rights reserved | WP theme: PenciDesign's "Soledad"